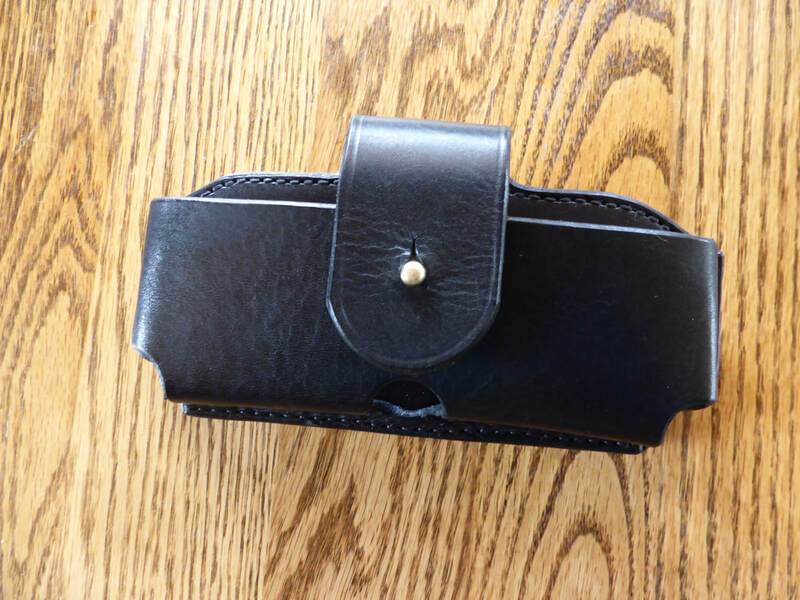 All the cases are custom made to fit the dimensions of your phone. 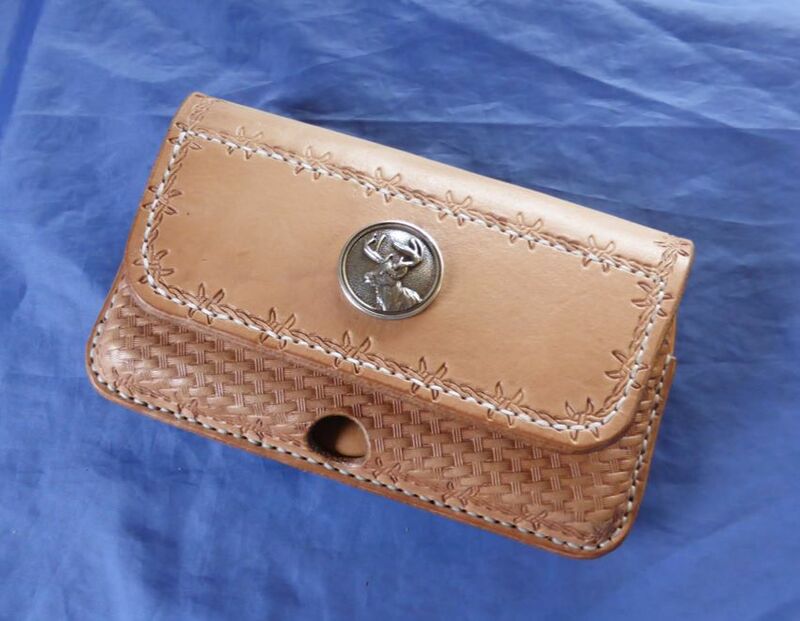 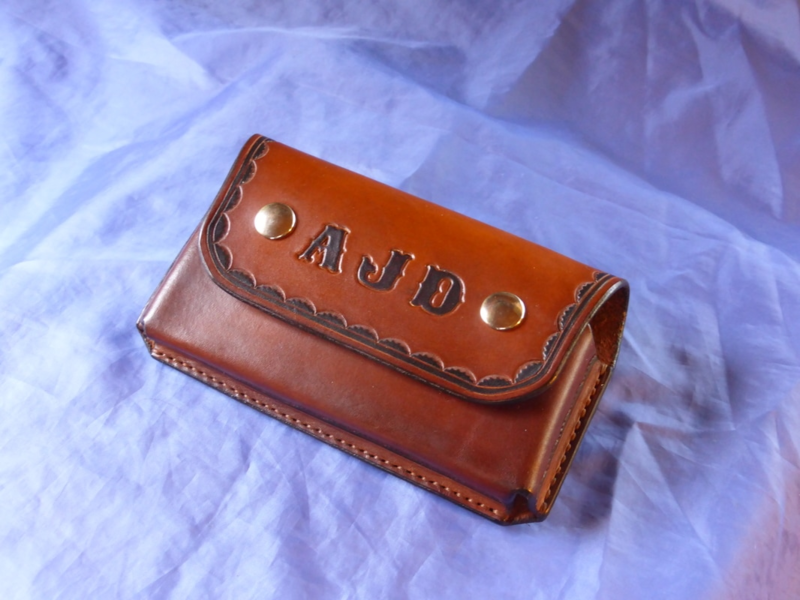 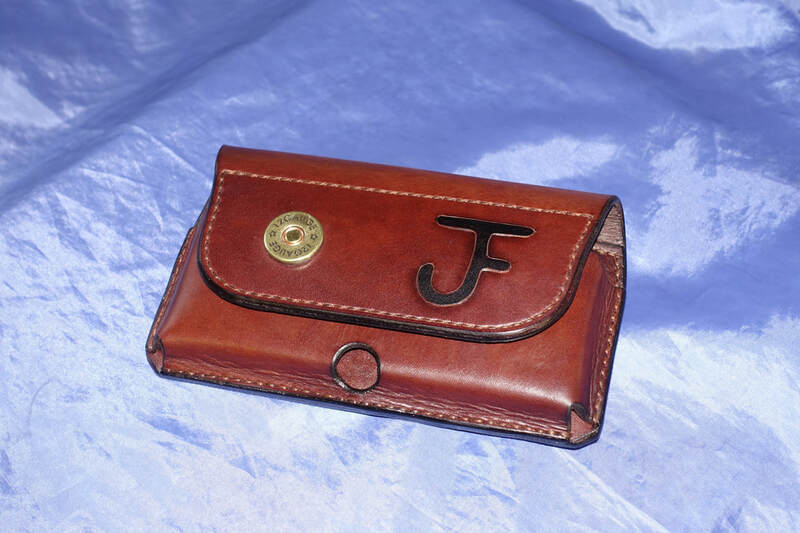 *Every case is 100% hand made from quality leather. 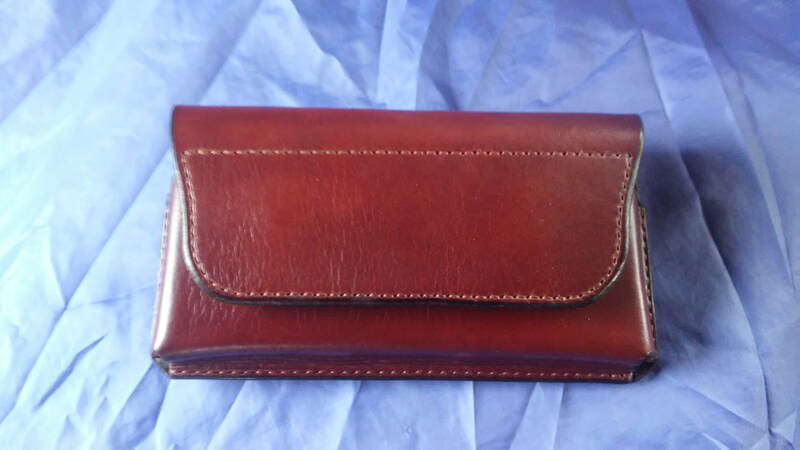 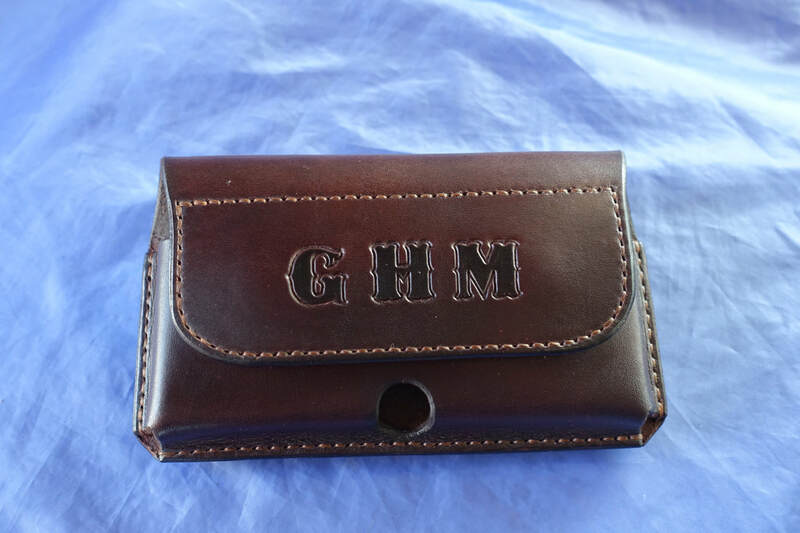 Different types and thickness's of leather can be used depending on your needs, Different types and thickness's of leather can be used depending on your needs, a finer case with a medium thick or thin leather or a solid case with heavy duty thick leather for hard use and top protection. 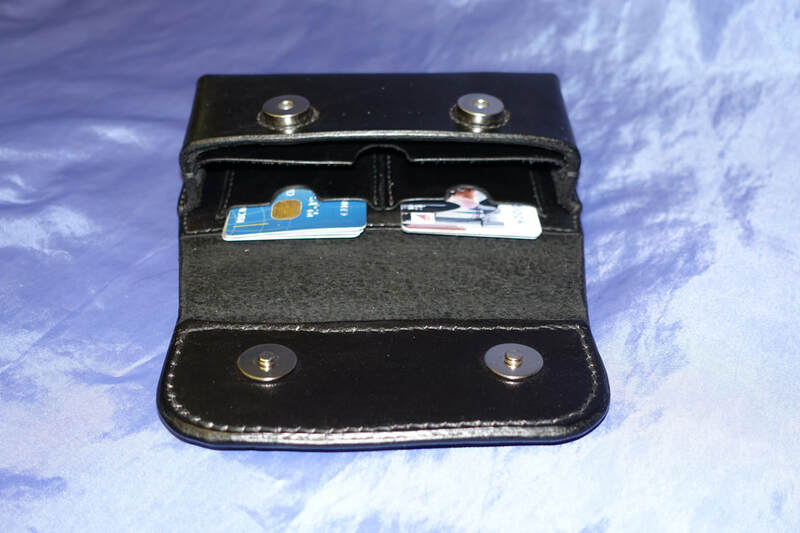 *The different case designs can be adjusted to fit all sizes of cellphones and can be made with various types of closing systems. 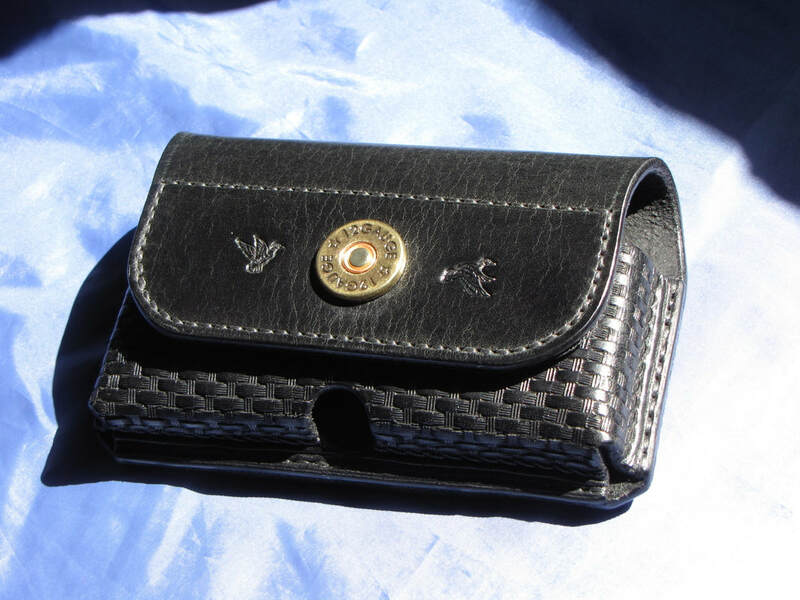 *Metal magnet and snap backings on the case bodies are covered with a leather patch and stitched. 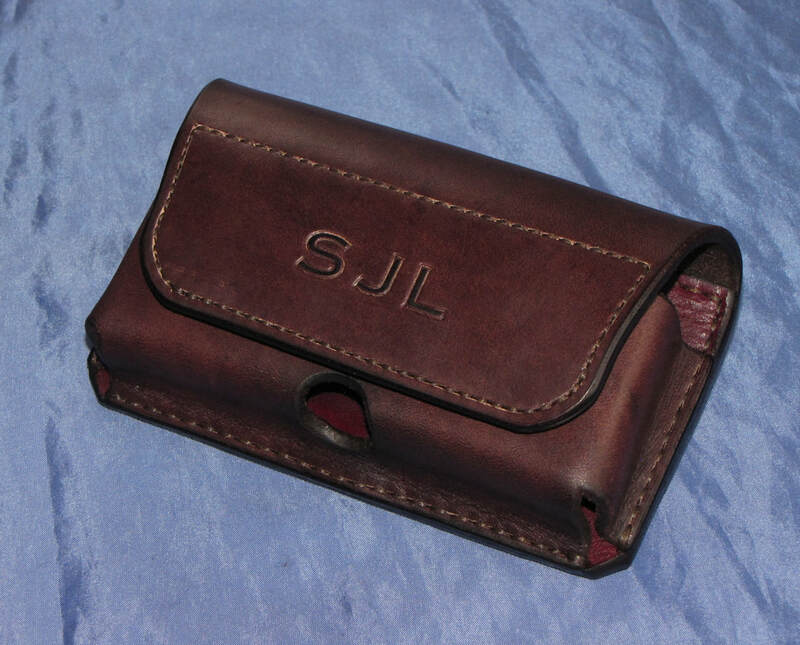 Lining the entire case is usually not necessary and just adds bulk but is recommended with conchos on the body of the case to cover up the metal screw-backs to protect the phone. 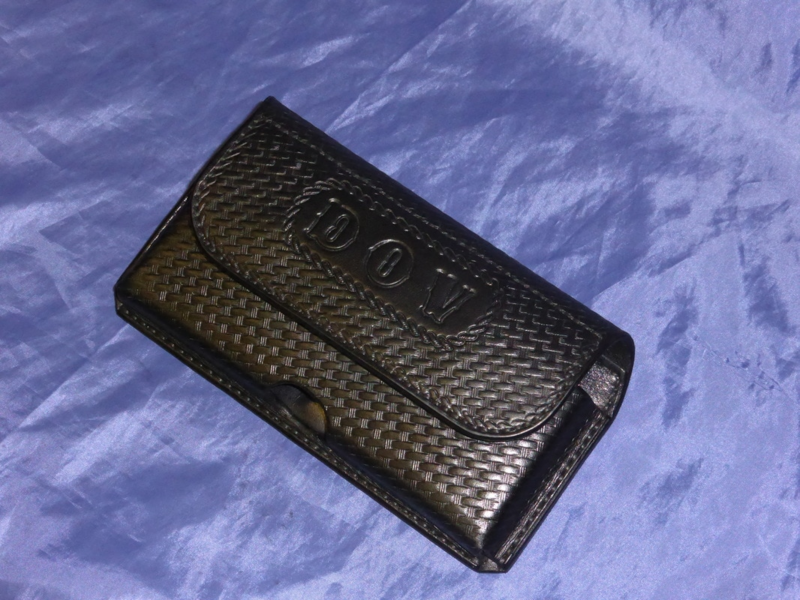 *The craftsmanship and materials as well as a good fit to your phone are guaranteed. 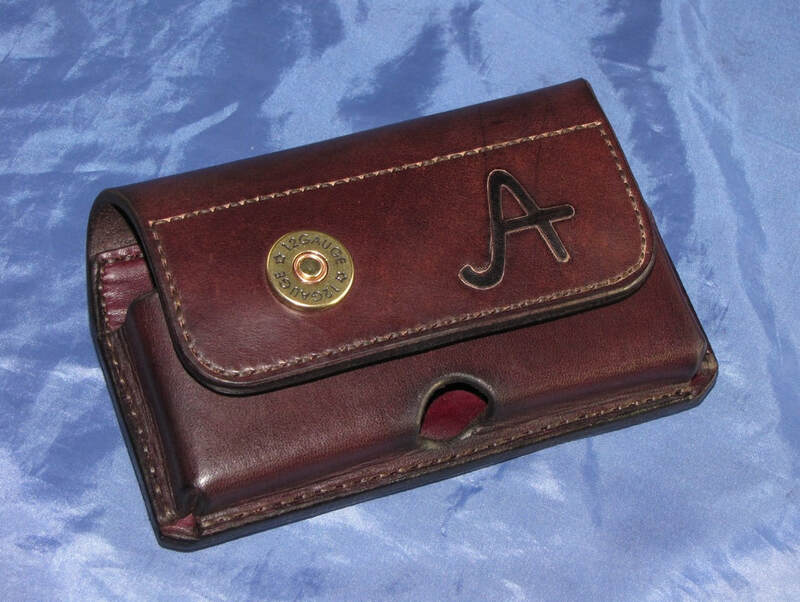 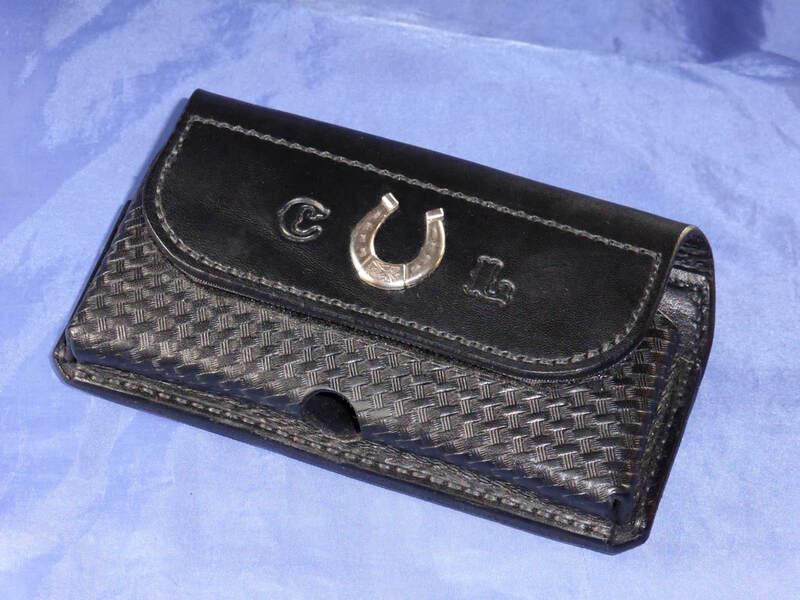 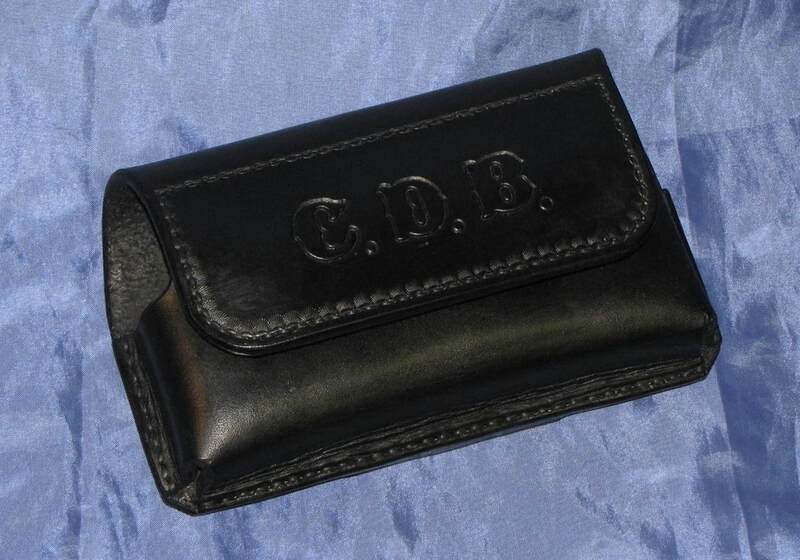 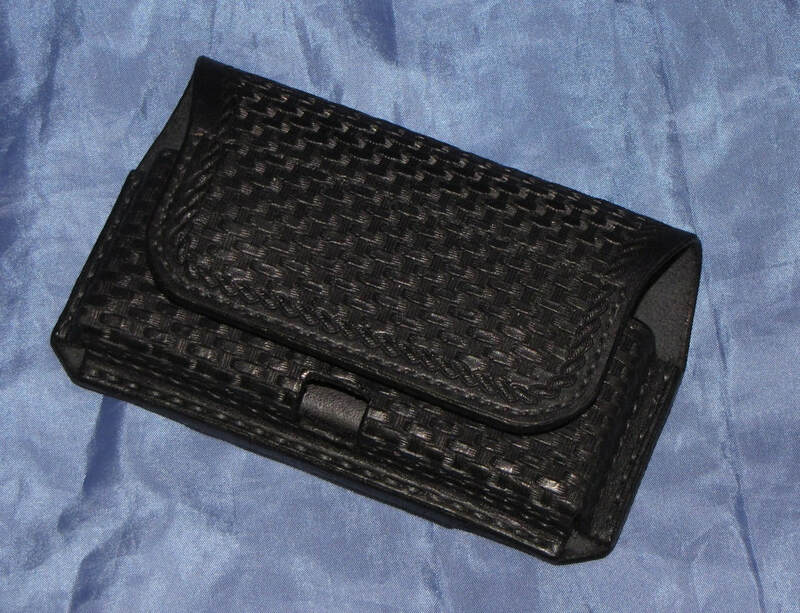 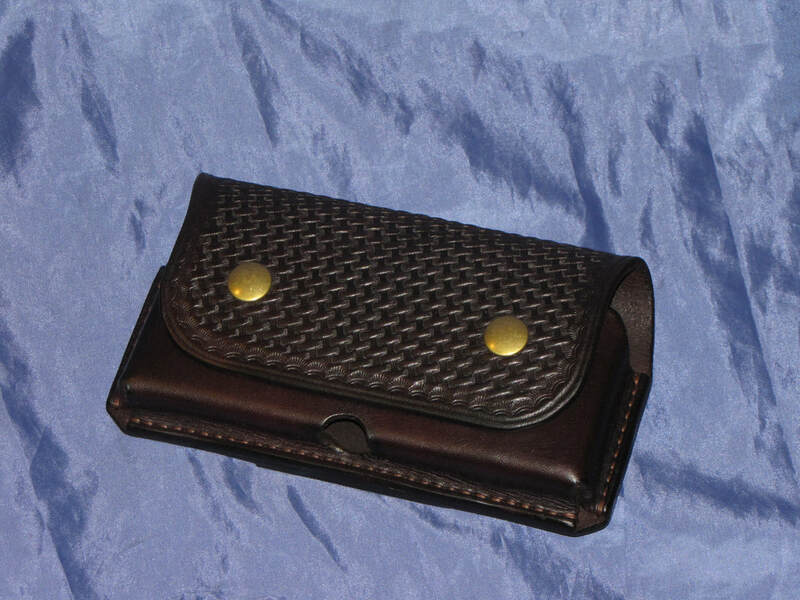 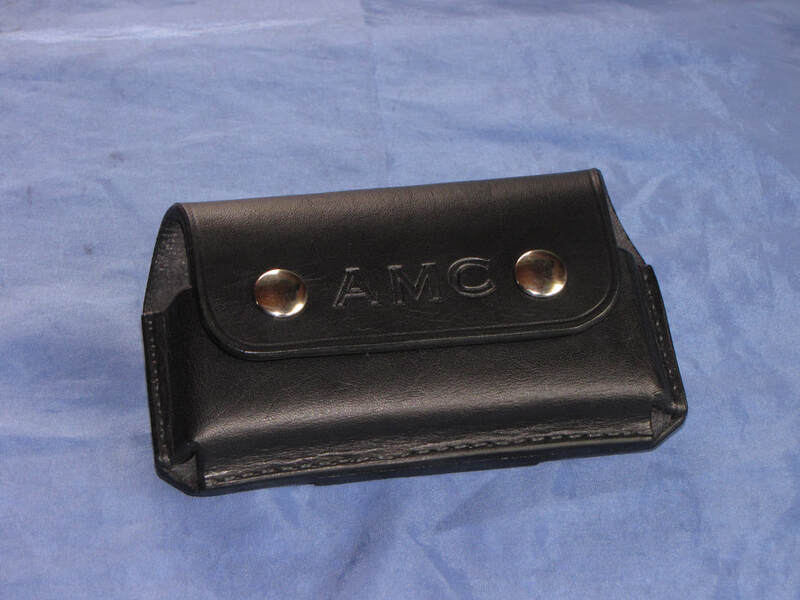 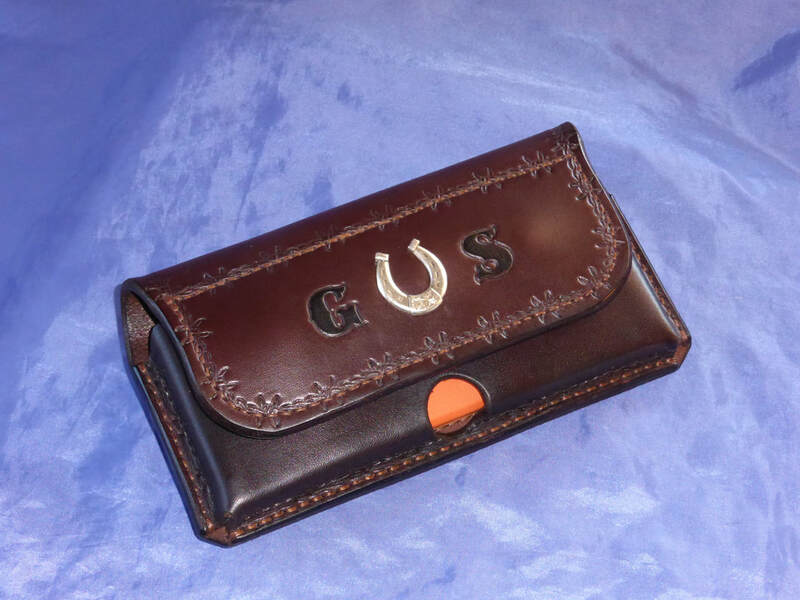 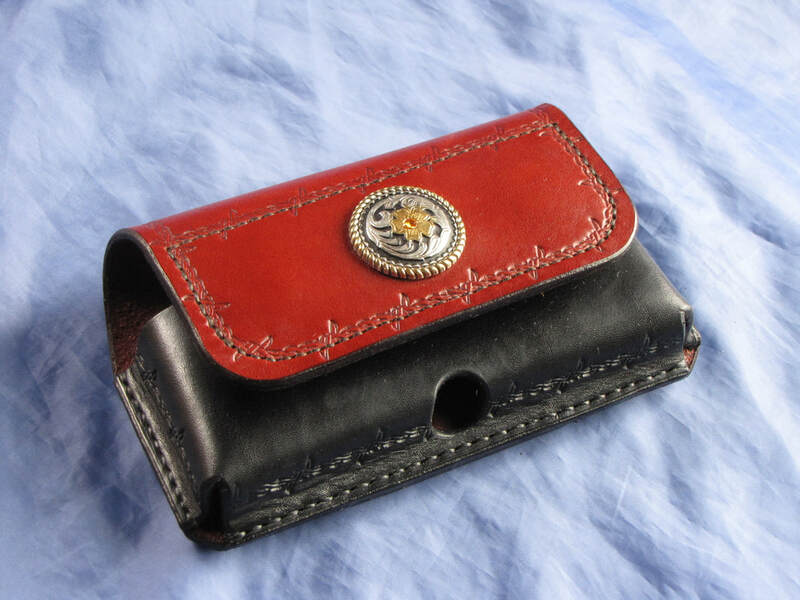 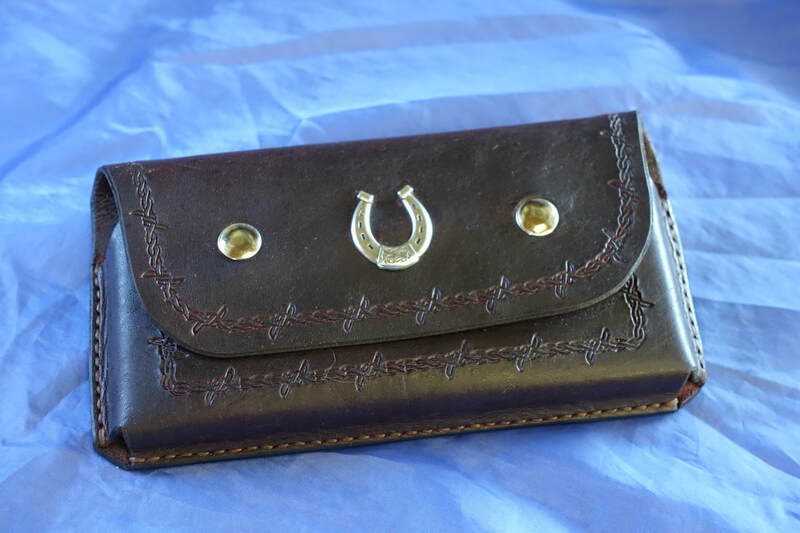 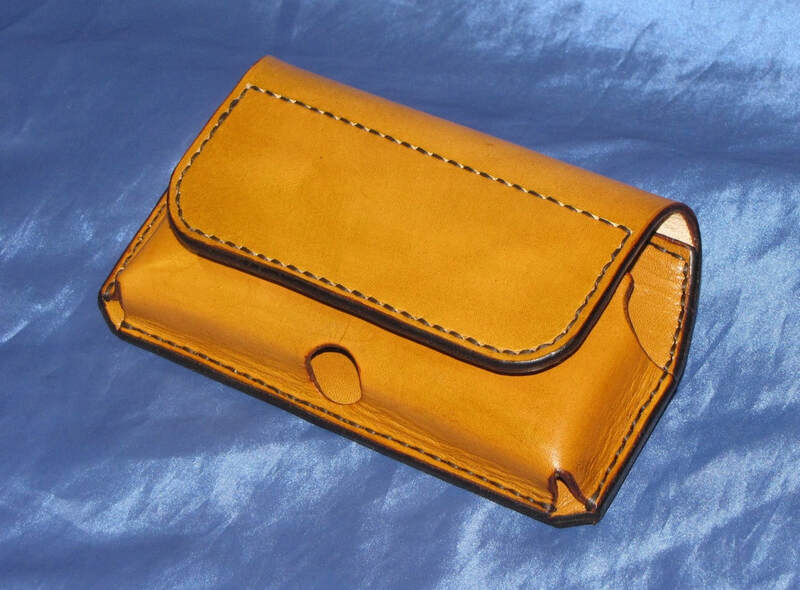 *For Details on Leather colors, closing systems, belt clips, tooling and conchos see the Case Design Page for more ideas. 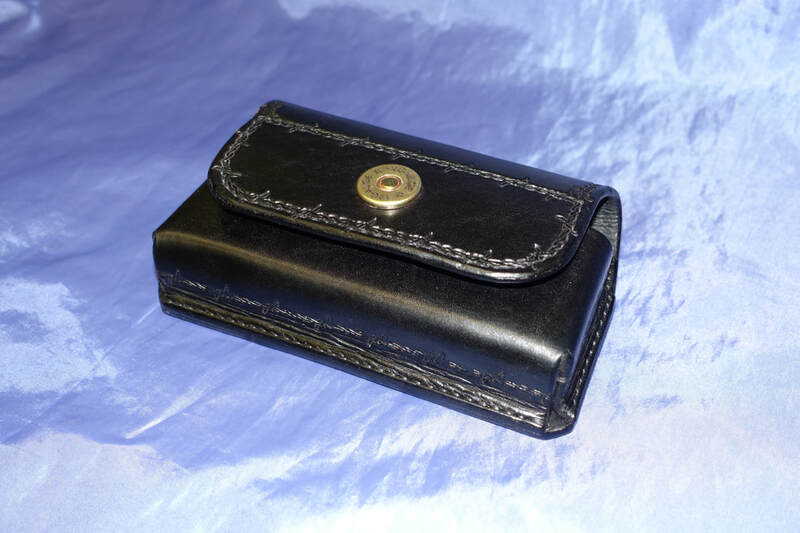 *Please fill out a Case Order From or contact me by Email to get a quote and place an order. 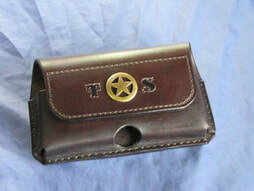 See the Case Design page for more details and options!